With the standards set in place by Fishwise and Seafood Watch and its trusted Certification partners (MSC, ASC, and BAP), Haggen offers only sustainable fresh seafood. 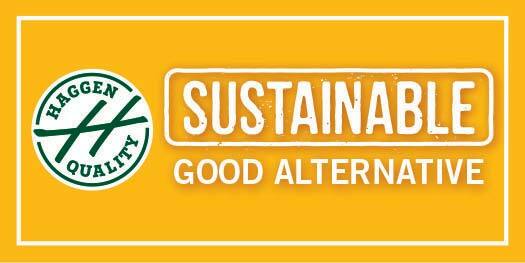 This means you’ll only find seafood that meets Fishwise Seafood Watch and their Eco Certification partners certifications of Green “Best Choice”, Yellow “Good Alternative” and “Good Alternative equivalent or better” in our Seafood Department. Sustainably sourced seafood protects the future availability of seafood as well as the livelihood of fishing communities. You can also feel good about choosing seafood that preserves a balanced ocean environment, which will yield a healthy seafood supply in the future. To be sustainable, our suppliers provide wild or farmed seafood that can maintain or increase production without jeopardizing the structure and function of existing ecosystems. Fishwise, Seafood Watch and their Eco Certification partners monitor the method, location of harvest and type or method of harvest. 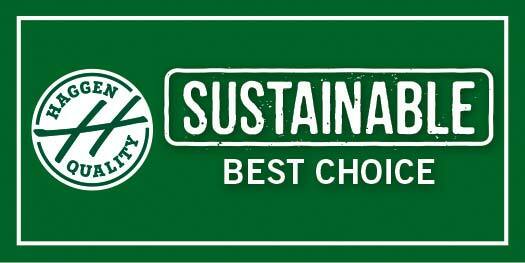 Green “Best Choice” labeled seafood poses little to no impact on the environment, future populations and other species. Yellow “Good Alternative” labeled seafood indicates one or more known issues with the fishery yet an improvement plan is in place and this seafood is still a sustainable choice. By working with suppliers who meet our certification standards “Best Choice” and “Good Alternative”, Haggen only offers eco-friendly fresh seafood choices that are fully traceable all the way through the supply chain with stringent coding practices and documentation. We love salmon! Whether it’s fresh or smoked, our seafood counter is stocked with delicious salmon from our icy Pacific waters. Enjoy our ocean fresh assortment of Dungeness crab and lobster. If it’s an easy meal your after, try our Legendary Crab Cakes made fresh in our store and ready to cook. We search the Pacific for the very freshest selection of shellfish. We take pride in our partnerships with local seafood companies who share our passion of sustainability. Visit our Seafood Case to find out about our weekly catch. Wild American Shrimp are a particular favorite. These succulent shrimp, harvested from coastal regions where salt and fresh waters combine, are deliciously sweet and flavorful.